The sole person involved in ordering the disposal of supposedly hundreds of never used datsuns in a massive warehouse collection, has been caught evading tax and other criminal acts. Xenophobes no way but they are scared of corruption and cheats. a joke in electricals, transmissions and general assembly since the late 70s. Has he been charged yet? Been in custody for over a week or so now. so it will be some time before he is fully charged for all his dealings. So because the attached story is from the New York Times and they've been notoriously slopply over the last 20 years I checked a few other sources. 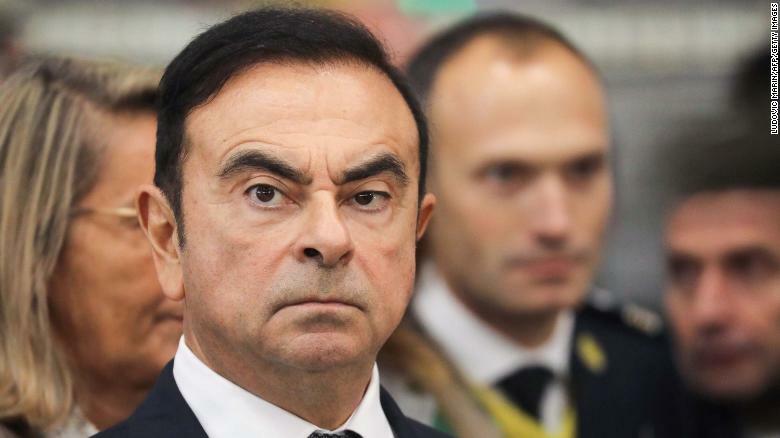 Nissan's internal investigation was turned over to prosecutors. Internal investigations are not subject to custody chains nor are the people interviewed subject to any sort of perjury charges should they embellish their testimony. Additionally there is a faction within the company that wants nothing more than having him gone. Given that I do contracts for a loving the thing that stuck out to me is the misuse of company resources. Define misuse; did he drive a friend to the airport on the way into work, the diversion to the airport technically would fit the misuse definition. As for failure to report his income; having once worked at a Japanese company for several years Imcan tell you there laws often tend to be rather odd. He's earning a salary from three different companies two in Japan and one in France, by law does he need to report all three. Additional as he is tied to the company, the company would be compelled to report this as well. People at this level typically coordinate these things via the legal department. While I'm not a fan of his style of management there are several aspects of this that don't add up. I'm also a firm believer in innocent until proven guilty. He and his colleague may well turn out to be shifty but until the whole story is out there I'll not condemn them. than what westerners bicker about, they have their reasons. push for this unless they are quite serious breaches. D the fact that all this was precipitated by an internal investigation by people who have an intense dislike for the man makes me suspicious. It's easy to think an arrogant ball buster thought he was above the law but the guy could also be innocent. The other factor that makes me cautious is reporters love salacious stories and they'll publish them without bothering to get various relevant facts.